With the resignation of President Robert Mugabe, Zimbabwe enters a new political era—setting a course without the only leader the country has known since independence in 1980. However, a change in leadership, especially one not ushered in through competitive elections, is not a guarantee that genuine reform is forthcoming. Such change will require substantive institutional reforms, a challenging task for a political system that has been dominated for so long by one political party. Here are five strategic considerations to follow. The military’s dramatic intervention that led to Mugabe’s resignation was a result of a long-running power struggle within the ruling Zimbabwe African National Union-Patriotic Front (ZANU-PF) over who would succeed Robert Mugabe. The internal conflict was particularly intense given that much of the party’s legitimacy is tied to its role in gaining independence from colonial rule. That factor had long buoyed the ruling party, despite the ensuing years of economic turmoil, political repression, and perceived high-level corruption. Less visible, but no less important, are deep-rooted disagreements dating back to the independence struggle. The Patriotic Front was a military alliance between ZANU and the Zimbabwe African Peoples Union (ZAPU). A violent split between them at independence led to five years of low-level civil war confined to ZAPU’s Matabeleland stronghold and home to the minority Ndebele. More than 20,000 civilians were killed in a counterinsurgency campaign dubbed Gukurahundi (“the rain that washes away the chaff”), reviving animosities between the Ndebele, who were accused of harboring ZAPU sympathies, and the majority Shona, who dominated ZANU-PF. The defeated ZAPU was later absorbed into ZANU-PF through a Unity Accord in 1987, but tensions were never truly extinguished and still occasionally flared up in the party, as well as the armed forces. The in-fighting over Mugabe’s succession erupted into the open in the run-up to the 2013 presidential elections, then expected to be his last electoral contest. In 2016, the party divided into two main factions: Lacoste, which is loyal to then-Vice President Emmerson Mnangagwa and dominated by veterans of the independence struggle, and the Generation of 40 (G-40), so-called because it was started by party leaders in their early to mid-forties with no experience in the armed struggle. Now decimated, G-40 was closely associated with Mugabe’s wife, Grace, who once headed the powerful ZANU-PF Women’s League and enjoyed the backing of the equally influential Youth League. The bitter rivalry between Lacoste and G-40 led to a series of brutal clashes throughout 2016 and 2017 as the succession struggle heated up. One particularly violent incident occurred in May 2017 when riot police stepped in to separate warring youth at a meeting in Bulawayo. Mnangagwa’s sacking on November 6, 2017, confirmed predictions that Grace Mugabe was to succeed her husband as party leader at ZANU-PF’s Extraordinary Congress in December 2017. That would have given her a path to the presidency in the 2018 elections. The military, which has long feared the prospect of power slipping away from the veterans, therefore took the fateful decision to unseat its commander-in-chief. 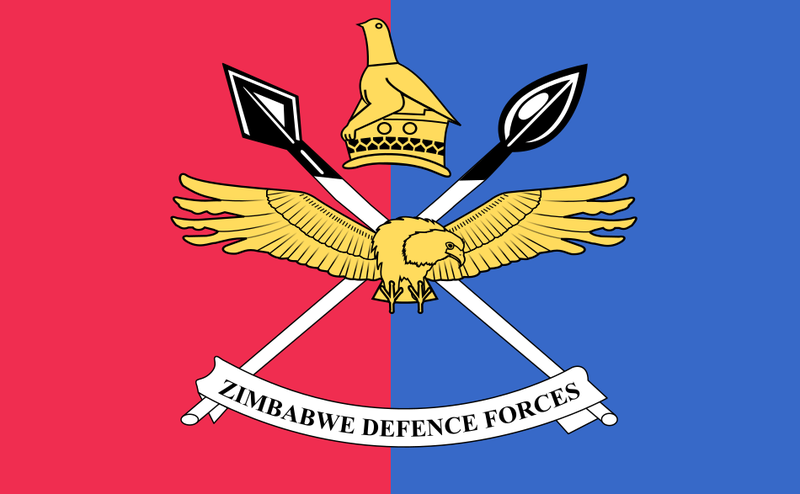 The Zimbabwe Defense Force (ZDF) is the country’s most powerful institution. In the first two decades after independence, it gained a reputation as a capable military with a distinguished record in African and international peacekeeping. However, the ZDF’s roots in ZANU-PF inevitably drew it into politics over the years. As a result, political disagreements in the party have often spilled into the military. Indeed, military chiefs cited instability in ZANU-PF and the purging of party members with a liberation background as some of the reasons that obliged it to intervene. The military establishment was one of the pillars of Mugabe’s administration and has long been accused of being part of its repressive machinery along with the police and intelligence service. Its self-identification as a guardian of the liberation legacy—something it stressed just days before it moved on Harare—cemented its loyalty to the President. But that loyalty did not extend to Grace Mugabe, the President’s preferred successor. The close ties between the leadership of the security services and ZANU-PF over the years have also had financial dimensions. Among other activities, Zimbabwe’s police, military, and intelligence services have been drawn into securing and overseeing Zimbabwe’s diamond mines. This includes allegations of killings of local diamond miners. These security actors have, in turn, reportedly reaped lucrative financial and material assets. As a result, security sector leaders are seen as having vested interests in who emerged as the country’s next president. Many Zimbabweans are now watching expectantly to see if the military yields to long-running demands for reconciliation, democratization, and institutional reforms after decades of repressive rule. While the crisis has largely been framed as a standoff between the military and elements of ZANU-PF, it is important to note that Zimbabwe has established traditions of political opposition, civic activism, and grassroots organizing. These voices will need to be heard as the transition gets underway. In recent years, several attempts have been made to broker talks between ZANU-PF’s feuding factions while launching a national dialogue for all stakeholders. In 2016, the Platform for Concerned Citizens (PCC), a coalition of civil society, churches, academics, and professionals mooted the idea of a dialogue that would establish an inclusive National Transitional Authority to oversee a transition, including making institutional reforms and preparing the country for elections. Political leaders and lawmakers from across the political divide broadly accepted the idea, and a series of stakeholder workshops were held. Coalition members agreed on a set of priorities: institutionalizing constitutional principles, reforming key institutions, creating conditions for genuinely free elections, and initiating an economic reform agenda to manage debt, recover stolen assets, establish economic fundamentals, examine land and property rights, and integrate the diaspora into the country’s economy. Former opposition leaders Morgan Tsvangirai and Tendai Biti and the heads of various Christian denominations in Zimbabwe have announced that the current crisis creates an opportunity to move ahead with a negotiated, all-inclusive transitional authority modeled on the NTA. 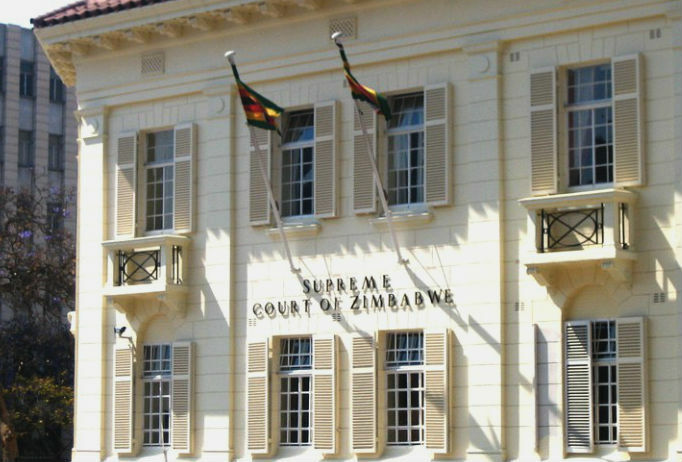 Zimbabwe’s judiciary has battled to maintain its independence, at times buckling under pressure but at others standing by key rulings. In 2000, the High Court ruled that the government’s controversial land reform program was unlawful, and it stood by its finding amid threats by party followers. Conversely, in 2005, the Court ruled that a jailed opposition lawmaker and leading government critic was eligible to contest an upcoming election from prison, though that ruling was later reversed after the judge in question was publicly insulted. In 2016, the Court struck down a ban on public protests issued by the police. This time the bench stood by the decision in the face of intimidation. A representative national legislature is often the first institutional check on the executive branch, but this particular parliament has for the most part been perceived as a rubber stamp for Mugabe. Initially closed by the military on November 14, it reopened on November 21 to impeach the former president, ultimately forcing him to tender his resignation. If sufficient consensus is found on negotiating a path forward, the legislative branch will realize an opportunity to marshal the diversity of interests and break with its exclusionary past. The public sector can also offer citizens much-needed continuity, and Zimbabwe’s was once one of Africa’s strongest and most experienced. Despite the country’s long-running problems, Zimbabwe’s public servants have played a critical role in building and training other African civil services, including in Liberia, South Sudan, and Uganda. Owing to its strengths in this area, Zimbabwe hosts the African Capacity Building Foundation, the African Union’s center of excellence for local government capacity building across Africa. In a sign that the civil service is still functioning, schools and medical facilities remained open since the beginning of the crisis. Similarly, on November 15, the public service commission announced pay dates for November and December for pensioners, police, military, educators, and health workers. Within hours of the military’s move into Harare, the Southern African Development Community (SADC) established contact with the conflicting parties. As diplomatic efforts got underway, SADC gradually receded from public view and left the negotiations to the Zimbabweans. As these proceeded, several elder mediators were brought in to complement the effort, among them Roman Catholic priest Fidelis Mukori and former Zambian President Kenneth Kaunda. Former South African President Thabo Mbeki played a part in August 2017 negotiations. These complementary efforts speak to the value of mediation by respected elders, one of the pillars of the African Peace and Security Architecture. As Zimbabwe takes its next steps, SADC’s support will continue to be key in ensuring that the transitional leaders prioritize healing the wounds of the past and putting the country on a new democratic trajectory. Military interventions are rarely a constructive solution to governance failures. While ZANU-PF’s long-simmering succession dispute was the immediate cause of the current crisis, deeper structural problems involving exclusive governance and the use of violence against political opponents dating back to Zimbabwe’s founding are important underlying factors. This politicization of governance has fostered the country’s prolonged challenges of inequitable service delivery, misallocation of resources, institutional decay, and economic decline. It has also perpetuated a crisis of legitimacy in many of its leading institutions. Redressing Zimbabwe’s crisis, therefore, will require a political solution involving more than the military and ZANU-PF, but also a process that is seen as inclusive of all of Zimbabwe’s key constituencies. Africa Center for Strategic Studies, “Constitutional Term Limits for African Leaders,” Infographic, September 14, 2017. Paul Nantulya, “When Ethics Avert a Crisis: Two Cases from Africa,” Spotlight, May 9, 2017. Paul Nantulya, “The African Union’s Panel of the Wise and Conflict Prevention,” Africa Center for Strategic Studies, Spotlight, June 8, 2016. John R Mailey, “The Anatomy of the Resource Curse: Predatory Investment in Africa’s Extractive Industries,” Africa Center for Strategic Studies, Special Report No. 3, May 31, 2015. Africa Center for Strategic Studies, “When Military Leaders Do the Right Thing,”Spotlight, October 28, 2015. Émile Ouédraogo, “Advancing Military Professionalism in Africa,”Africa Center for Strategic Studies, Research Paper No. 6, July 2014. Mathurin C. Houngnikpo, “Africa’s Militaries: A Missing Link in Democratic Transitions,” Africa Center for Strategic Studies, Africa Security Brief No. 17, January 31, 2012. Joseph Siegle, “Overcoming Dilemmas of Democratization: Protecting Civil Liberties and the Right to Democracy,” Nordic Journal of International Law, 2012.